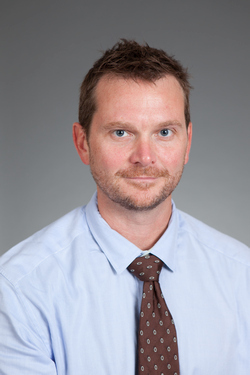 Jason Herrick, MD, is Director of Psychiatry for the Pediatric Behavioral Health Integration Program (BHIP) at Children’s Hospital at Montefiore (CHAM), as well as Assistant Professor of Pediatrics, Psychiatry and Behavioral Sciences at our Albert Einstein College of Medicine. Dr. Herrick’s clinical focus is training, consulting with, and supporting the efforts of pediatricians to treat mental illness appropriately in a primary care setting. Dr. Herrick joined Montefiore in 2014. Dr. Herrick received his Doctor of Medicine in 2008 from New York Medical College. He completed a residency in General Psychiatry, followed by a fellowship in Child and Adolescent Psychiatry at Albert Einstein College of Medicine. Dr. Herrick’s research on evidence-based diagnosis and treatment of ADHD and other behavioral disorders in adolescents has been published in various journals and presented nationally. Dr. Herrick is board certified in General Psychiatry and Child and Adolescent Psychiatry. He is also a member of the American Academy of Child and Adolescent Psychiatry.